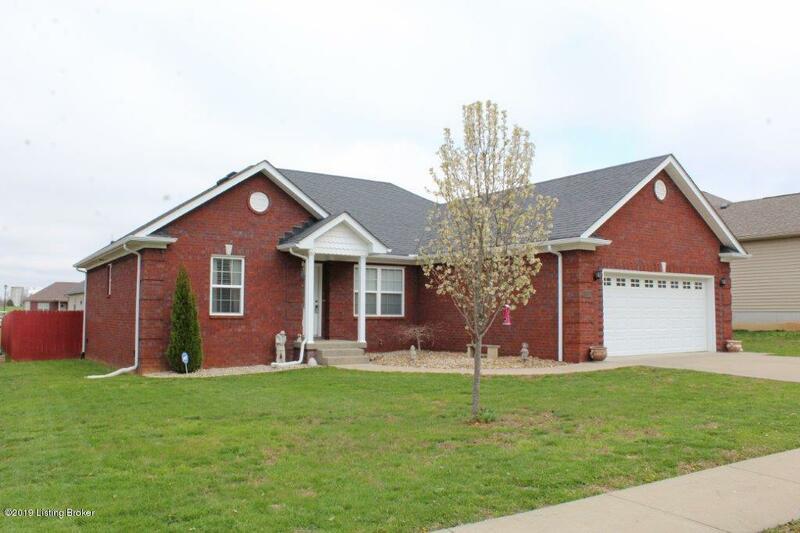 You will love this all brick quality built ranch style home that has a desirable open floor plan! As you enter the home you will find beautiful hardwood flooring, vaulted ceilings, an archway in the dining area & trey ceiling detail work. The great room is open to the kitchen and both dining areas. The kitchen is fully equipped with a full appliance package to include a new refrigerator, granite countertops, and an abundance of cabinetry and a pantry. The other features include 3 bedrooms and 2 full bathrooms; a spacious master suite with a jetted tub, separate shower, a large double vanity, tile flooring, and a walk in closet; new carpet with premium padding in the bedrooms; the exterior has plush landscaping, deck, a full privacy fence, and a concrete driveway. A beautiful place tocall home!